Jaki Liebezeit's surname translated fittingly: Love time. For 50 years he pursued an enduring fascination with the core truths of time, expressed through rhythm, notably as the drummer and one of the founders of Can. 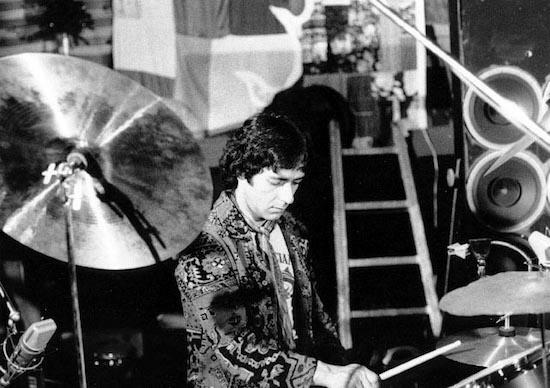 Liebezeit didn't just perfect his technique, or master styles; he took his fascination deeper, into realms in which the very whys and wherefores of rhythm's true place in music were of paramount importance - as, by extension, was its metaphorical relationship to the individual's role in wider society. 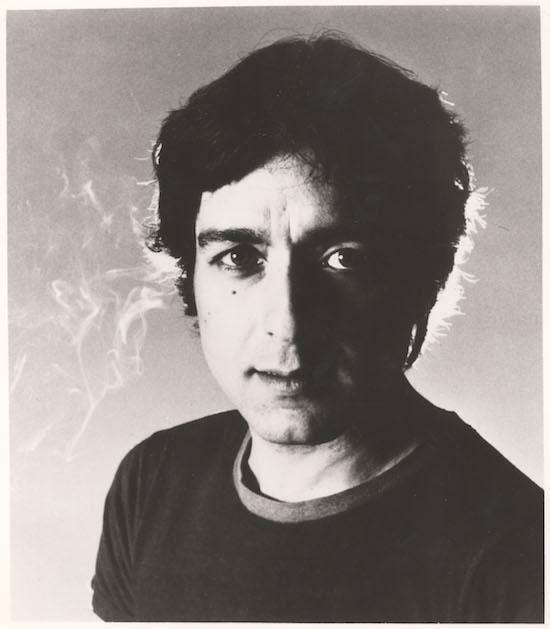 Liebezeit, who died in January, was the drummer whose sense of time was so accurate that he was better than any mere drum machine. He sometimes laughed at that reputation, though there was something in his manner that suggested he suspected it was perhaps true. Jaki knew that, deep down, he and potentially anyone could be flesh-blood-bones analogues of programmed drum machines, a piece of equipment to execute the rhythmic patterns it has been programmed to play. Why not, thought Jaki, apply the schematics of what a drum machine does to a codified set of rules for human musicians so they, too, could play with more accuracy than a programmed rhythm box? His own playing had benefited enormously from adhering to a set of rules for the proper order and exact placement of drum notes in any musical scenario. Perhaps more profoundly, Liebezeit realised that codifying rhythmic method would build on a foundation of harmonic hierarchy: drum notes, he found out, are not just beats, they're like friendly cousins in the overall harmonic texture of music. Although Leibezeit never considered himself a teacher as such, he became the centre of the Drums Off Chaos collective, a group of fellow drummers who gravitated towards him, attracted by his system. Dot means a hit with one hand. Dash means two hits with one hand, with the duration of two dots. Dots and dashes are always played by alternate hands. The second hit in a dash is always quieter than the first, even to the point of silence. It can be almost as loud as the first hit but never as loud or louder. Accents are only possible after a dash. E-T follows the behaviours of sticks and drums according to natural laws of gravity, distance, acceleration, rebound, and so on, which is where all of its implied philosophical stuff comes in. In fact, while Liebezeiti had early on codified in his head his drumming rules - first developed in his work with Can, then refined and expanded on in collaboration with Can's Holger Czukay and Irmin Schmidt, Jah Wobble, his own Phantomband and Club Off Chaos, and in the Secret Rhythms recordings and performances with Burnt Friedman - their proper application and vast musical potential was and is a never-ending process. A group of Liebezeit's collaborators and longtime observers - including Jono Podmore, Burnt Friedman, and members of Drums Off Chaos - recently gathered in Cologne to put Liebezeit and his E-T method in perspective. One thing that became clear was how Jaki's drumming and the musical structures it built upon and created were, like the geometrical, three-dimensional objects Jaki liked to construct in his infrequent leisure time, very different things when viewed from different angles. For example, the question arose as to whether the E-T theory is about playing or composing. Well, it's both, thought some of the Drums Off Chaos crew, who argued that E-T is a system that determines what to play and how to play it, involving aspects of both dynamics and timing. So, while not concerning composition per se, E-T includes possibilities of composition; in other words, it allows for a composition that composes itself. But what about issues of the musician's authorship and composers' rights? Those start to matter when the rhythms generated via E-T are universal, consisting of musical elements that no one has invented, as they are derived from natural laws. Think of it like sports, suggests Drums Off Chaos's Manos Tsangaris. "Jaki liked to compare this method to a particular system of rules, like improvising as in ball sports. In the moment when there is an acceptance of the rules from all the players and the teams play in opposing directions and within certain lines, only then the game can be played. This means that the work will be improvised and composed together. You need a rule system was taugt, which is flexible, which is very simple in its basis, so within these rules it's possible to compose collectively. And that means the authorship is then - and this is something Jaki really emphasised - collective. "Since 1965 or so, musicians began to say they were truly composers because they'd made a little graphic score - I'm thinking of people from the free-jazz times - but Jaki personally withdrew from that world. Can decided that they would function absolutely democratically, and this applied directly to the composition process. But that doesn't work, as in the football match, when complete freedom of play is allowed." Podmore suggests Jaki's E-T rules are like an algorithm, but says that raises another question: is the creator of the algorithm the composer or are the people playing the rules the composers? Drums Off Chaos member Maf Retter says the players are the composers. "It's like language. Whether German, English or a mid-European 'average language', the grammar of the language is very much a part of what I actually say. The system in which we communicate and operate is essential, it is part of what can be and is said. Jaki was quite radical in his research into the roots, the basic conditions of composition." Among Liebezeit's more radical conceptions about drumming was that there's no such thing as tempo, there is only density. In practice, the Drums Off Chaos sessions approached tempo with the rules of E-T by playing the rhythms in various tempos, as Jaki believed a rhythm will never stipulate a tempo. One must decide, he said, depending on the feeling one gets while playing. He often made reference to certain kinds of Indian music in which there are three different types of tempo. One is constant tempo, the other a kind of tempo rubato, which speeds up and slows down, and the third is "cow's tail" - free, like a cow flicking its tail to drive flies away. But attempting a general appraisal of E-T’s rules on tempo is, the group feels, a bit treacherous. Why? Imagine being asked, “Tell me something about time.” It’s complex. What are we talking about? Chronometric tempo, pulse, collective vibration? There are many different contexts. One clear element in the E-T system is use of the Oktavierung, or octaveing, which means that at any time a rhythm can be doubled or halved. In practice that usually means halving, because the ground tempo is usually the fastest tempo, so halving is easier that doubling. One in the group can play in half-tempo to the others. "The first time I worked with Jaki," Podmore says, "he was playing drums to tempo maps I had already created, that were changing in tempo all the time, speeding up and slowing down. He was following the tempo changes precisely, but at certain points he would do the Oktavierung either one way or the other – if it was getting too slow he'd double it, and then the other way." That gave Podmore a very strong sense of what would be the most natural, comfortable way of finding the pulse of the music. He also says that when playing slowly it didn't matter which hand plays how many strokes, but when you do it more quickly then it absolutely makes sense to follow Liebezeit's rule, because the E-T method's basis is gravity and ergonomics: you practise a little bit and you begin to float. The Oktavierung is a crucial part of the E-T theory, and it's referred to as octaves in the harmonic sense. It can also accommodate all the intervals, such as a fifth, where the drummer is splitting things into three rather than in halves. Maf Retter likens it to cell division. "With other intervals, they are included in the rhythms anyway. In a fifth, for example, the relationship of two to three is also in principle a frequency pitched down to meet this interval. Jaki had ordered rhythms on their relationship to particular pitches. So particular rhythms were in effect, for example, a minor scale. Like telephone numbers, he created additive complexes or series, seen as an analogue to a scale in pitches. But that was regarded as a phenomenon, not as a way to order rhythms according to pitch." "We wouldn't analyse a harmonic cadence and build a rhythm from it," says Drums Off Chaos member Reiner Linke. The relationship of E-T to cell division is perhaps the clearest way to understand its core compositional tools. "In cell division you have 1, 2, 4, 8, 16, 32 - you think in periods," says Retter. "This is so that any rhythm - any number - after a while is also related in periods, which are always 4, 8, 16, something like that. The moment the octave is present, it brings with it the awareness of this cell division. With this relationship in mind, even if it's an 11 or a 13, there are always groups in 4s and 8s and 16s. The cell division is then articulated by negative accents or by a slightly different ending of a bar - but there are no bars. Jaki always said, 'No music behind bars.'" The real gift of Jaki Liebezeit's E-T theory is that it aids the creation of rhythms that just feel right, sound great and can, if one is wont to do so, provide trancelike analytical adventures. Podmore compares Jaki's rhythms to a cube that when rotated looks like a hexagon. Tsangaris views E-T as a Pythagoraic system. "It's about analogy of frequencies and proportions, which you can project on any kind of parameters." That implies the E-T theory can be applied to other instruments as well. "It's a binary system, short and long, like in antique Greek," Tsangaris says. "You know, sometimes Jaki liked reading books. One was the Musik und Rhythmus bei den Griechen by Georgiades Thrasybulos, who was a musicologist who taught in Munich. And he loved this book very much, because of the idea of just having short entities and long ones: so, E-T. In antique Greek drama - which means language, movement, instruments, singing - everything was part of the system." Apart from and more central to playing rhythms correctly - so they sound and feel good - Jaki the professed non-teacher advised drummers to "play what the stick wants." He also said: "You can't improve the drum." He believed there are purely physical elements that determine both the course of the improvised drum "composition" and how well it is being played. Due to the mass, the speed and how the drum behaves, there are movements that somehow function well - for the stick - and that a drummer shouldn't oppose the sticks' aims but follow them. "His belief was that continuous movement is central to the rhythm and should not be broken by egoistic escapades," Linke says. "One must stay on track and see that the stick moves continuously. If it then wants to go somewhere else then it'll do that, and it will move properly when you're in the groove."